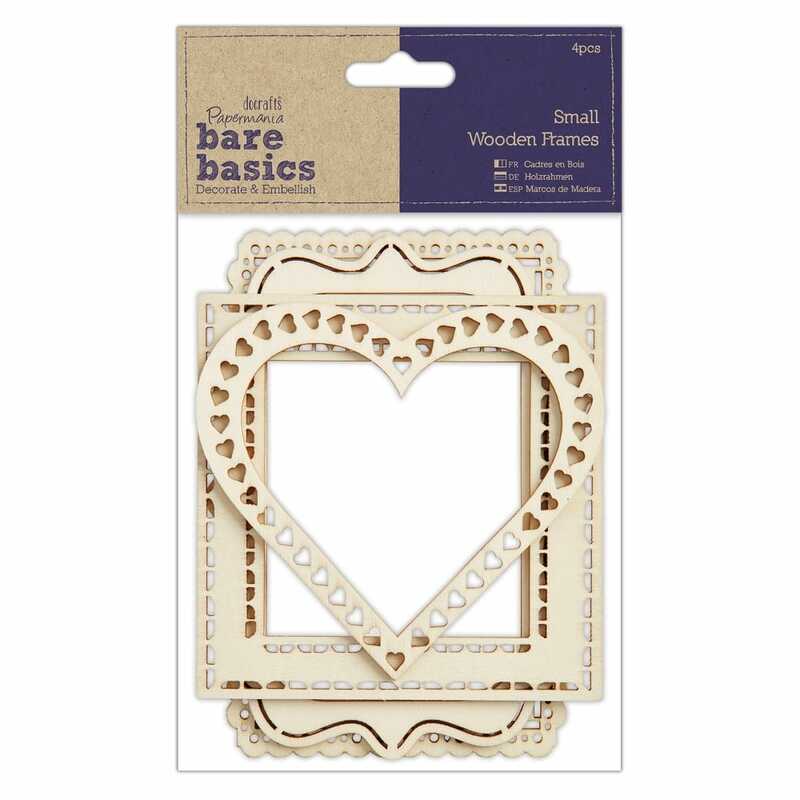 The pack contains 4 gorgeous decorative wood frames, they can be decorated or just left just as they are. This pack contains 4 various sized frames: 1 x 9 x 13.5cm, 9.5 x 13.5cm, 1 x 10.5 x 10.5cm and 1 x heart shaped frame approx. 10.5cm wide.